It helps to keep paid or closed invoices separate from open or unpaid invoices when cash has been received. Using it will delay cash book updating until the funds are in the bank making bank reconciliations easier. Will separate cash from cheque deposits where they have been made on the same day. Example: Cash and Cheques received and banked on the same day. Mr D J Jones receives $5000 in cash and $5000 in cheques on Friday the 12th of June. He goes to the bank and deposits the money received. 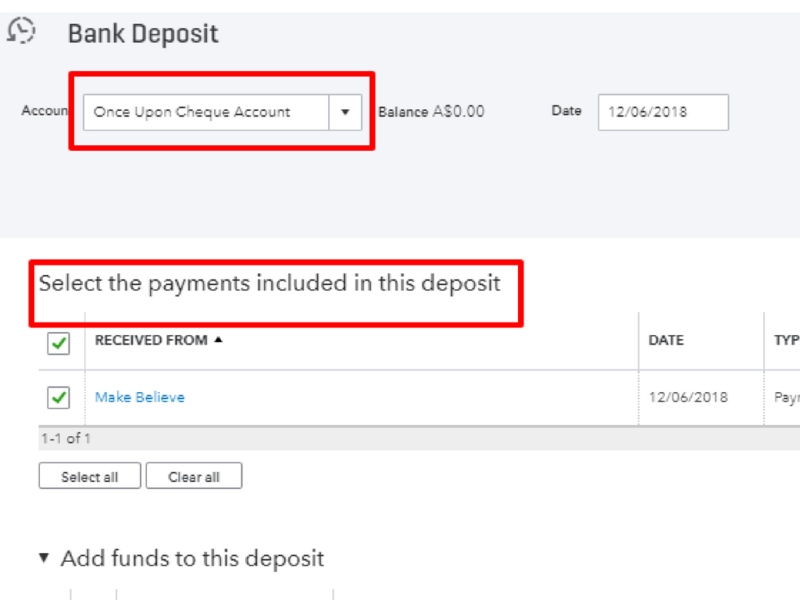 His bank statement of the 12th of June will likely show the cash deposit of $5000 and the cheques may only show up on the actual statement a few business days later say on the 16th of June. Let’s look at how we would record this in QuickBooks Online. 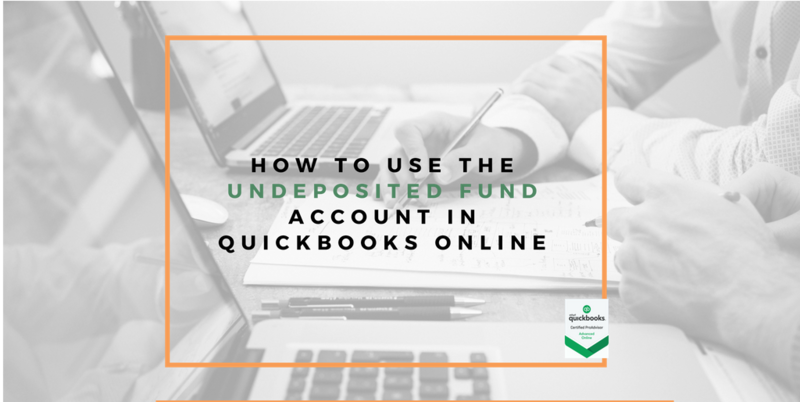 In the Deposit to: select the Undeposited Fund Account. Enter the amount received by cash: $5000 then click Save. 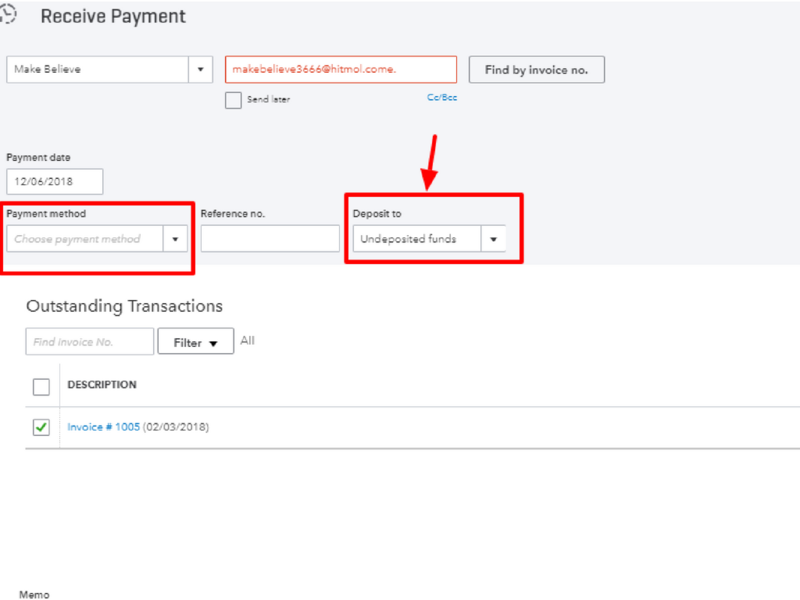 The payments made to the Undeposited Fund will now appear. 6.Select the payment or payments in the deposit. N.B You will only see the payments that you have made to the Undeposited Fund Account here. 9.Match the bank feed with the deposit. Enter the amount received by cheques: $2500 then click Save. The cheque payment made to the Undeposited Fund will now appear.